Ms Emily Vacher, Facebook’s Trust & Safety Director. Strategic Communications has been entrusted by Facebook with organizing the media coverage for the launch of the AMBER Alert system in Malta. Facebook’s partnership with the Ministry for Home Affairs and National Security and the Police Force is the latest addition to the recently launched AMBER Alert system in Malta. AMBER Alert allows Facebook users to receive specific alerts on their timelines whenever a child is abducted or is reported missing and is at imminent risk of harm. 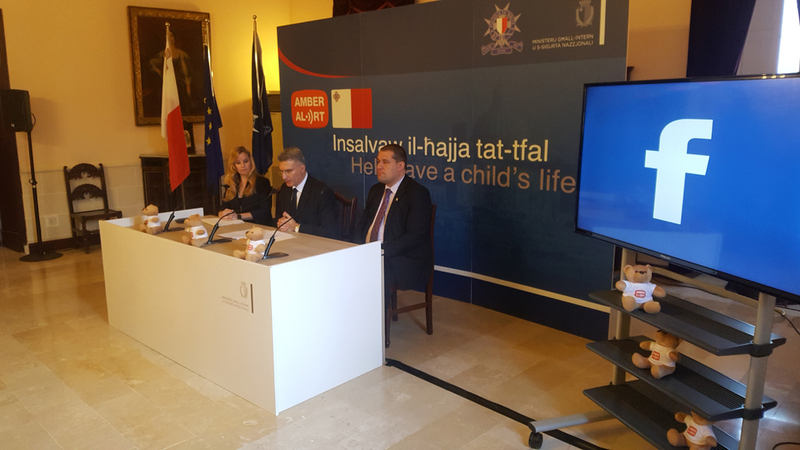 The initiative was launched during a joint press conference held on Tuesday 7th March at the Police GHQ in Floriana, presided by the Hon. 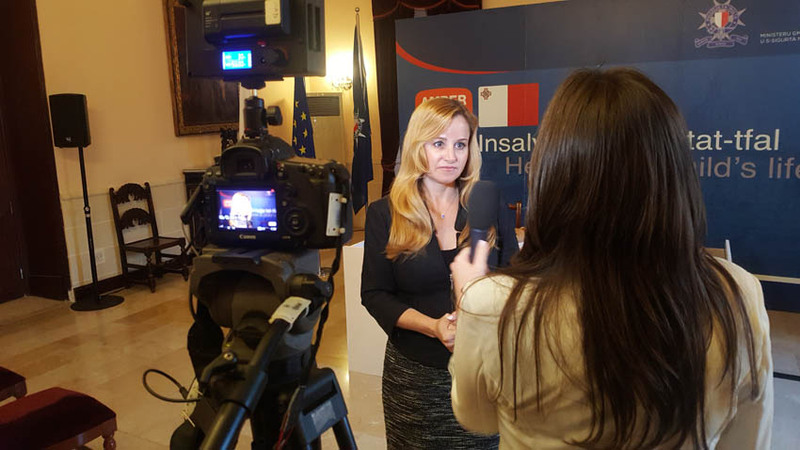 Carmelo Abela, Minister for Home Affairs and National Security, the Commissioner of the Malta Police Force, and Ms Emily Vacher, Facebook’s Trust & Safety Director. Through this cooperation, the partners hope to inform even more people as quickly as possible when the police issue an AMBER Alert. An AMBER Alert is an emergency message the police issues when a child is abducted or has gone missing, and the police fears that the life or health of the child is in danger. From now on, Facebook users in Malta will automatically receive an AMBER Alert in their news feed. The message contains a photograph and vital information that will assist the public in locating the child. When users press ‘Learn More’, they will access more detailed information that can help retrieving the missing child as swiftly as possible. This may include the make and model of any vehicle involved in the abduction. The users can also share the message with their network of friends via the ‘Share’ button. Ms Emily Vacher, Hon. Carmelo Abela, Minister for Home Affairs and National Security, and the head of the Malta Police vice squad addressing the media.